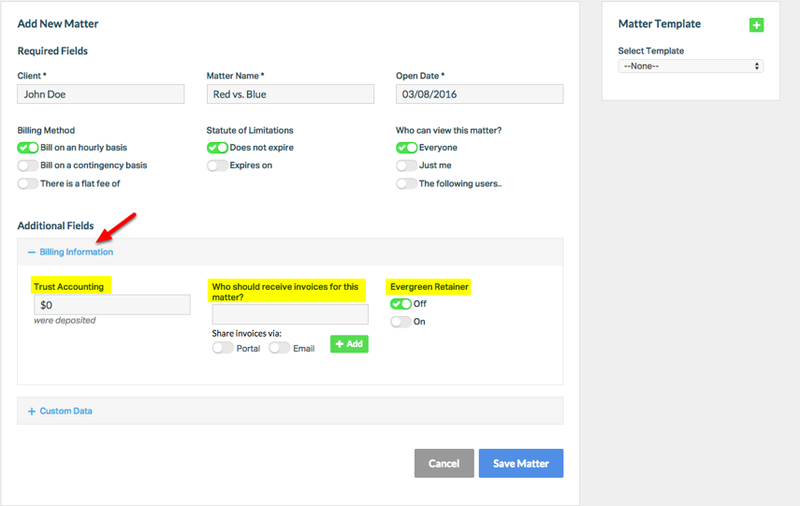 Rocket Matter Knowledge Base MattersHow to add a matter. 1. Click "+ Add New". Zoom: 1. Click &quot;+ Add New&quot;. 3. 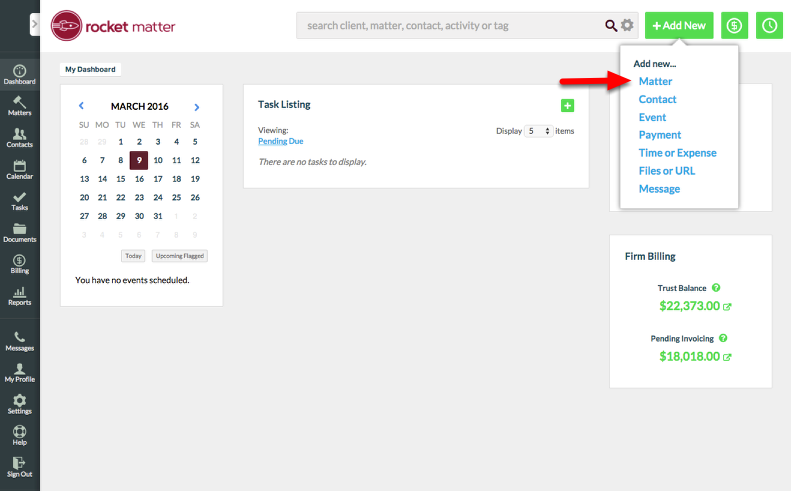 Fill in the Client, Matter Name, and Open Date fields. Zoom: 3. Fill in the Client, Matter Name, and Open Date fields. Note: If the client's name is in your Contacts, the 'Client' field will auto-populate. If the client's name is not yet in your Contacts, you will be prompted to add a New Contact. 4. Select Billing Method, Statute of Limitations, and viewing restrictions. Zoom: 4. Select Billing Method, Statute of Limitations, and viewing restrictions. 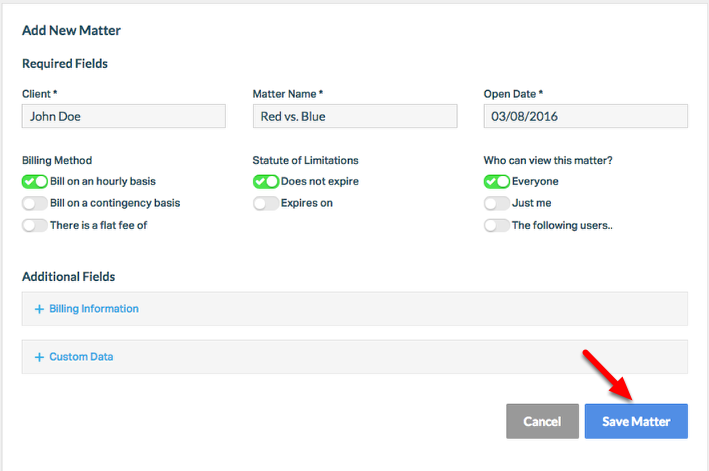 Note: Matter-Level Permissions can be set by specifying who can view the Matter. To set permissions on a Matter level, select: "Everyone", "Just me", or enter "The following users" by specifying which users will have access to the matter. Also see: How do I set Matter-Level permissions? 5. 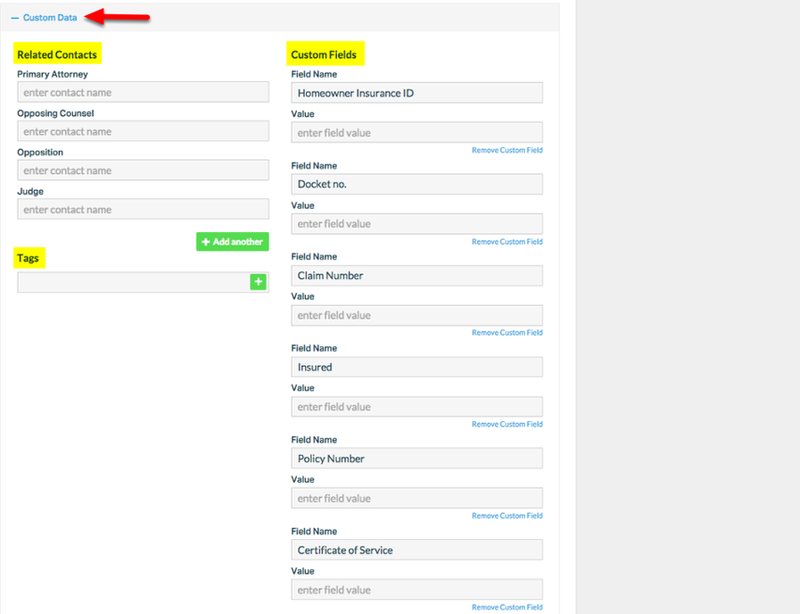 Click "+ Billing Information" to add additional billing detail. Zoom: 5. Click &quot;+ Billing Information&quot; to add additional billing detail. Note: Trust Accounting, Invoice Sharing, and Evergreen Retainer fields are OPTIONAL. 6. 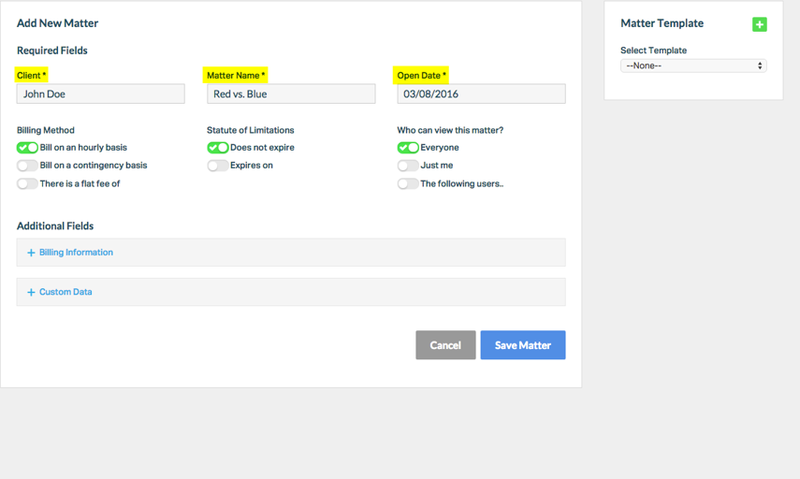 Select " + Custom Data" to add Related Contacts, Custom Fields, and Tag data. Zoom: 6. 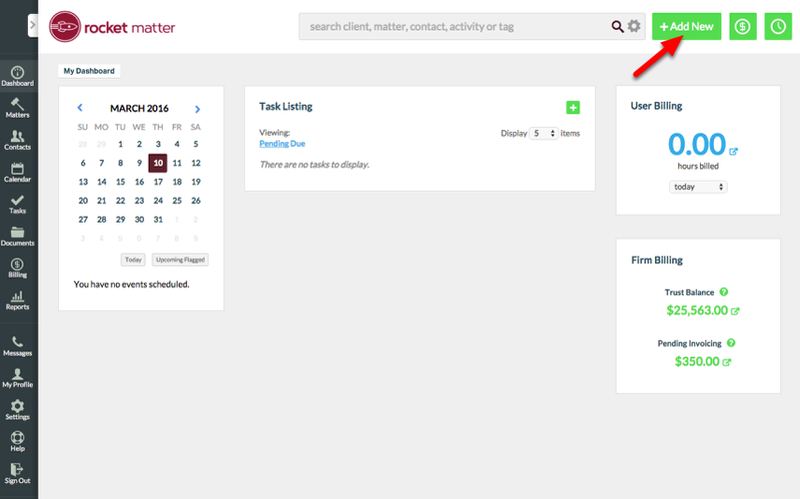 Select &quot; + Custom Data&quot; to add Related Contacts, Custom Fields, and Tag data. Prev: How to setup a automatic recurring billing plan with a e-check. Next: How to complete a matter.